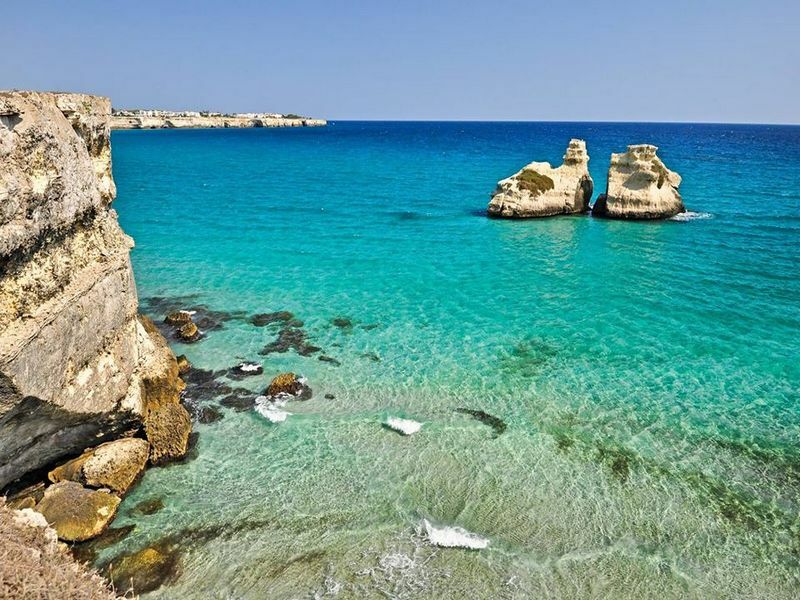 The SO-CALLED the heel of Italy, the Puglia region (formerly known as Apulia) is situated in a strategic location in the heart of the Mediterranean, occupying the extreme southeastern tip of the country. 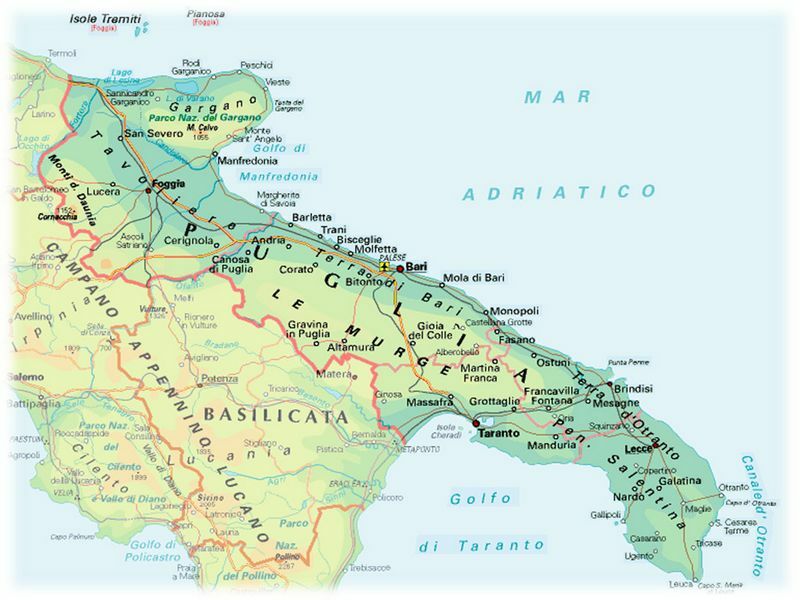 Surrounded on two sides by the Adriatic and Ionian Sea, spanning the Puglia for 800 km of coastline, is a long strip of land that extends from the border with Molise to the north, to Cape Santa Maria di Leuca in the south. In its territory you will find some of the finest examples of Baroque architecture in Italy, charming towns steeped in history, mysterious caves and monuments, a landscape dotted with ancient Neolithic and Greek archaeological sites, the famous Trulli and a long coastline varied, with cliffs at depths of colorful and kilometers of sandy golden beaches, cascading into crystal clear water. 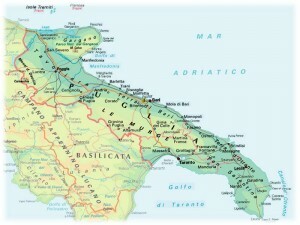 It is that the region occupies a strategic corner of Italy, over the centuries many civilizations have settled and alternated, from early native inhabitants: the Messapi, to the ancient Greeks, Romans, Byzantines, Normans, Swabians, Angevins and Aragonese. Each civilization has left on its territory along valuable evidence of history and diverse culture, with priceless artifacts unearthed in archaeological excavations and numerous artistic and architectural treasures: menhir, stone churches, medieval castles, baroque and Romanesque cathedrals, palaces and historic houses, charming villages and cities, charming farms and houses, an exceptional heritage which must be added the three UNESCO sites: Castel del Monte, the mysterious castle of the Emperor Frederick II, near Andria; the trulli of Alberobello, features stone buildings dry, unique in the world; the Shrine of St. Michael the Archangel in Monte Sant'Angelo, a masterpiece of medieval art and international destination of pilgrimage; make this region one of the most beautiful and diverse in all of Italy. In addition to beautiful scenery, the authentic Puglia is appreciated even at the table. Food and wine from Puglia is an explosion of flavors of excellence that makes it one of the leading regions in the gastronomic field. The secret is in the ingredients, genuine, as the so-called "Green Gold" the 'extra virgin olive oil (of which Puglia is the first region in Italy for production) fine wines, fish and dairy products, cereal production with the best production of pasta and bread (there are more than 100 types of bread in the only area of Salento) fruit and vegetables. In Puglia the quality of life is excellent and the weather for much of the year very mild. In all seasons, there are countless events that enliven the area, such as festivals and international events, becoming in recent years to many famous directors and stars, a perfect movie set well established. 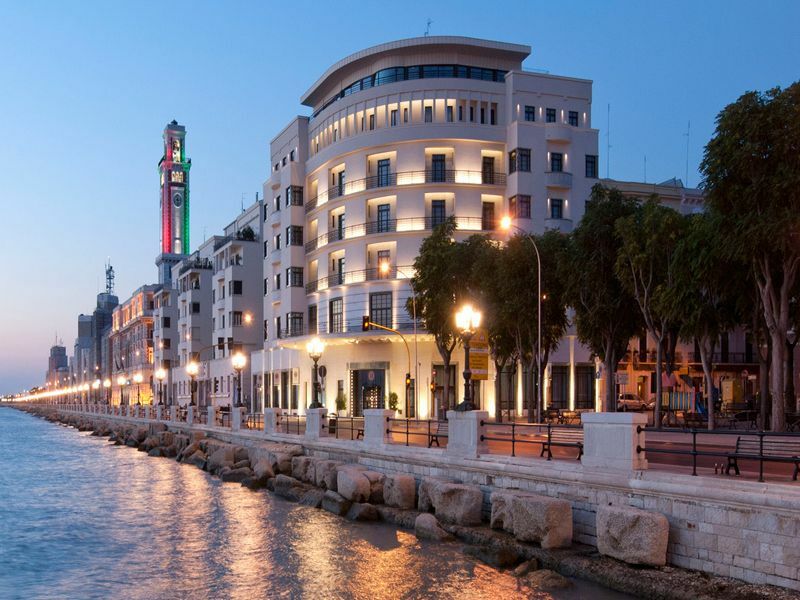 The regional capital and largest city of Puglia, Bari faces and turns toward the Adriatic Sea, city founded by the Greeks has become over the centuries “east gate”, devoted in recent years from the role of “European gateway” assigned by EU. In Bari you can see the remains of a past borderland where they passed many peoples and cultures that have left their mark in the city structure, rent a yacht or a sailboat, you will have a unique position to admire the spiers of the Cathedral of San Sabino, the famous Basilica of San Nicola (saint very dear and venerated by all Christian confessions) the Byzantine walls that make up the historic center appealed from Bari “Bari old” and its famous waterfront of the most beautiful and certainly among the longest in Italy. 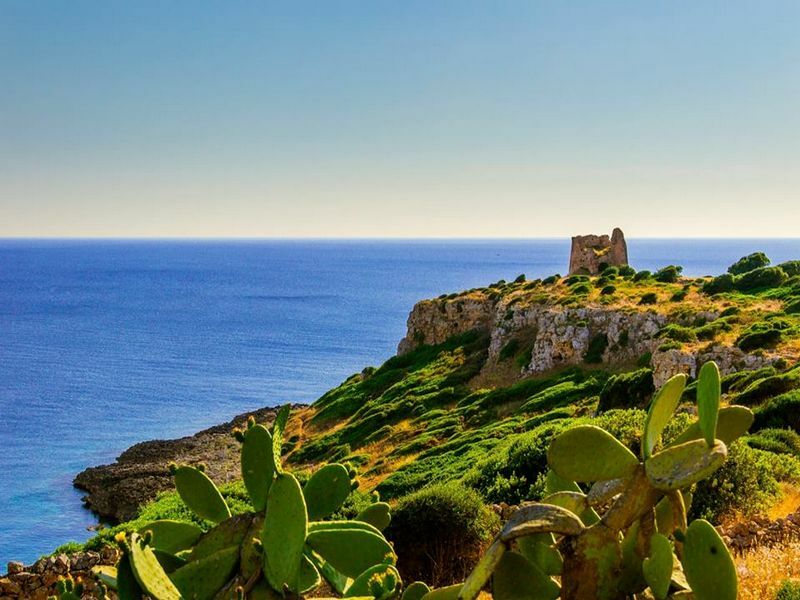 A little more than 33 km from Bari, is set on a spectacular outcrop overlooking this small town which is famous for its natural beauty also for being the birthplace of the famous songwriter Domenico Modugno where you can admire a famous statue dedicated to him in seashore. Polignano a Mare is characterized by a spectacular high coast at times often jagged, on which have numerous outlet blades / gullies, that are natural bays which open into the sea. One of these, Lama Monachile, is the deep inlet immediately west of the old town, so called because in the past there stood the presence of the monk seal. Organizing a rent of a sailboat or yacht, you can admire its sea caves from the natural interest that are under its well-preserved old town and the remains of Roman rule, including the bridge of Via Traiana, still viable, which crosses the city. 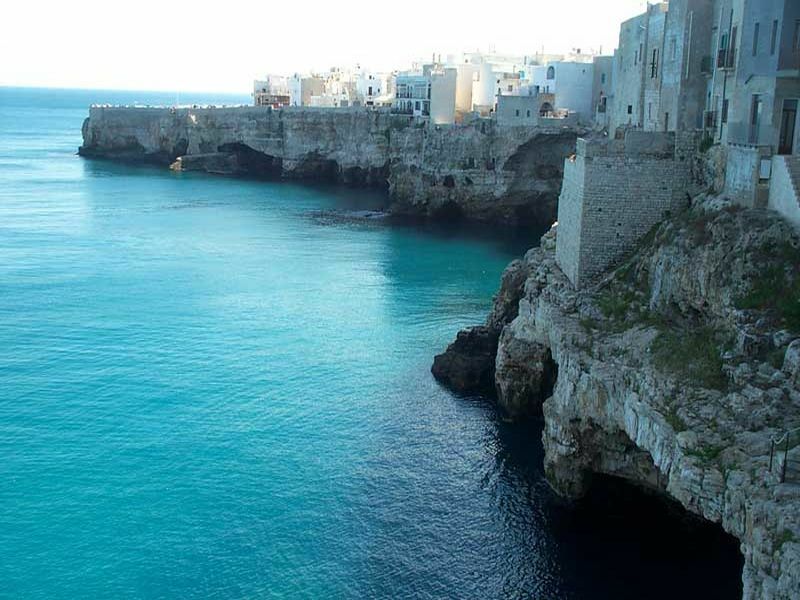 5 km to the south of Polignano a Mare (and 40 km from Bari), along State Road 16 stands the very ancient city of Monopoli founded as a colony of Magna Grecia by the Greeks. 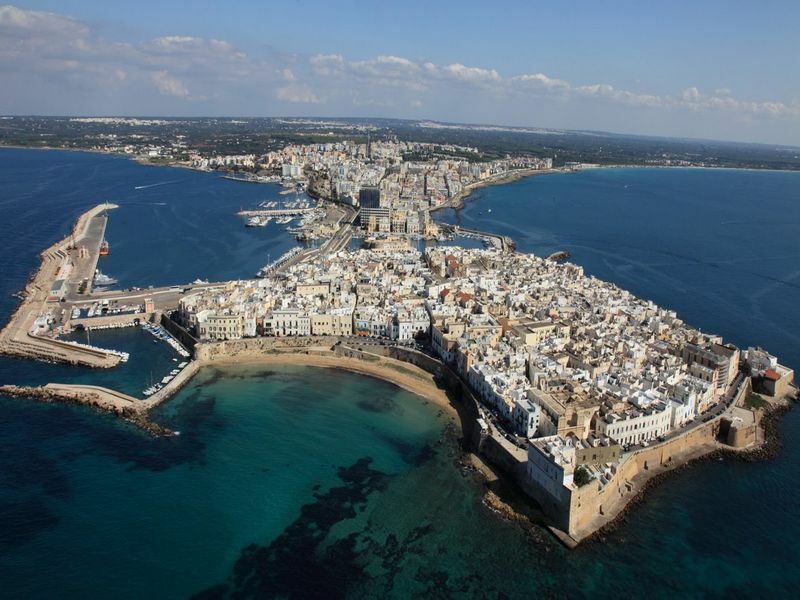 Last seaside cities in the south boundary of the provinces of Bari and Brindisi, Monopoli is, in the Adriatic Sea, one of the busiest ports and populous region. Its quaint old town of medieval origin, superimposed to the remains of an ancient fortified messapico town already in the fifth century BC, faces the sea surrounded by high and fortified walls. Monopoli is also known as the city of a hundred districts. The countryside is in fact divided into various places named districts, whose names evoke ancient farmhouses disappeared, the presence of a farm, a church or other historical and geographical references. Renting a sailboat or yacht you can admire besides the mentioned walls, its beautiful castle built by the Emperor of the Holy Roman Emperor Charles V, see the high bell tower of 60 meters of her beautiful and famous cathedral, continuing south to the trendy resort of “Capitolo”, a marina district of the city where you can immerse yourself in its beautiful clear waters and in its sparkling nightlife. 42 km north away from Bari is one of the most beautiful and well-preserved all over Puglia namelyTrani, also called the “pearl of the Adriatic” town famous for being built over the centuries by the original Trani stone extracted on site, gives a very special color to its monuments that can be admired by sea. Renting a sailboat or a yacht you can admire its impressive and beautiful cathedral with its bell tower dedicated to St. Nicholas the Pilgrim, a masterpiece of Romanesque architecture built in the twelfth century. often home to concert events of Italian and international singers in his square, you can also see the famous Swabian castle and fort built always between the XII and XIII century. 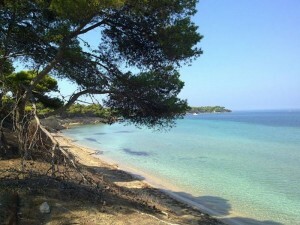 50 km north of the city of Brindisi rises this little famous village on the sea of the town of Fasano, which is only 6 km. In summer it is a popular seaside resort with long beaches with fine white sands and that is within the Park by coastal dunes ranging from Torre Canne to Torre San Leonardo of high naturalistic interest. Torre Canne is known for over a century for its healing and famous spas with the waters of which you can make mud therapy treatments and hydrotherapy. Reaching the nearby Fasano you can climb up to the healthy and shaded “Selva di Fasano” where you can stroll and relax admiring from above, a highly perspective overview of a wide glimpse of Puglia. 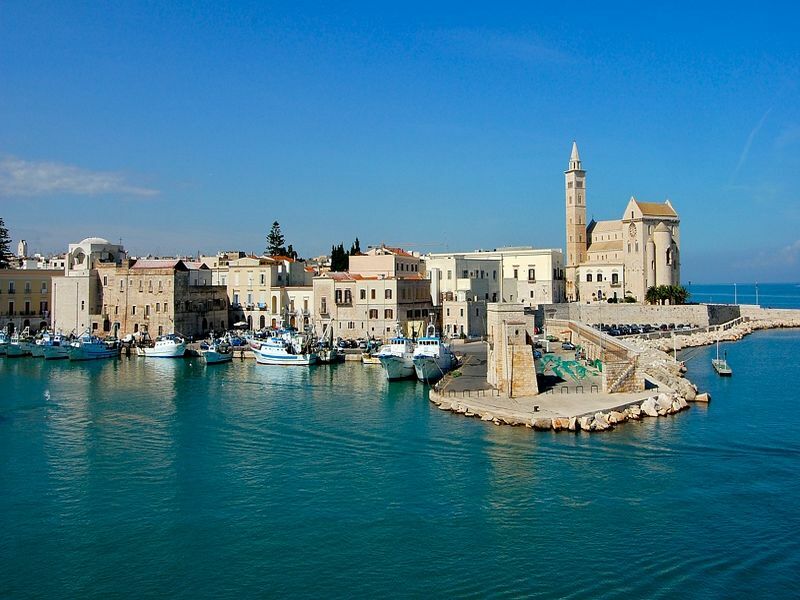 At 35 km north of Brindisi, Villanova is also often called Villanova Marina a fraction of the well known Ostuni, which is about 7 km far. 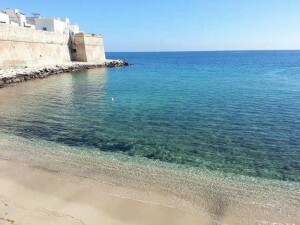 It is the main fraction of the so-called “Marina di Ostuni” that extends from the Natural Park of the coastal dunes (in which there are the Lido Morelli and the Lido Bosco Verde) and the adjacent hamlet Pylon, to the hamlet of Saint Lucia – Torre Pozzella. In this stretch of coast are including popular holiday destinations and resorts of international significance of Rosa Marina, Monticelli, Diana Marina, Gorgognolo, Costa Merlata and Cala dei Ginepri. Renting a boat or yacht icing you (starting from the marina at the foot of the lower castle fortress of the fourteenth century), with its many beaches and coves with the white background of the famous view of the city from all Ostuni called the white city. Ostuni so called because it was the custom to whitewash their houses with lime, as a natural disinfectant during one of the last plagues that occurred in mid-1600, still making its historic center so peculiar after centuries. A few miles away from the city always following the coast, you can reach the interesting nature reserve of Torre Guaceto, so called (as other locations in the area) for the presence of various medieval and renaissance towers for the sighting of the Turkish military fleets . Here you can immerse yourself in the waters of the most beautiful and unspoilt of Puglia, with a spectacular profile expanses of sand dunes and wetlands where various species of birds can also enjoy being able to practice bird watching. The ancient city of Taranto is the capital of its province in Puglia is the second largest town in the region by population, one third of southern peninsular after Naples and Bari, and sixth in the South of Italy. Also called “spartan city” about reference to its founding in the eighth century BC Taranto (Taras) in fact is the only city founded (over Sparta) by the Spartans (to be exact by Parteni). Renting a sailboat or yacht you can enjoy the uniqueness of this ancient city, in fact for its geographical position at the turn of Mar Grande and Mar Piccolo, Taranto is known as “the city of the two seas” and its namesake natural bay, called in the Maritime Law, historic bay because of its considerable size. 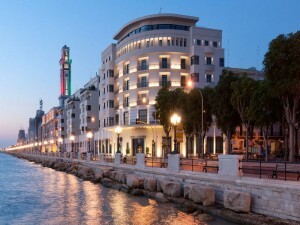 In addition, the city is home to the famous Aragonese castle, the swing bridge that joins the two sides of the city, the Admiralty Navy Italian and home to interesting museums including the most fascinating and important is the MARTA, or the archaeological museum guards inside the very famous “Ori of Taranto” shining example of the fine art of Magna Grecia in Taranto which was among the most important cities. In addition to admiring the city, always sailing boat you can see the archipelago of the Cheradi consists of the two islands of San Pietro and San Paolo (respectively distant from the waterway of Taranto 6.3 and 6.1 km), part of military property of the Italian Navy, landing and navigation are prohibited for the island of San Paolo, while the largest island of San Pietro was recently partially open to the public where you can see the specific Mediterranean flora and fauna. Just 10 km east of the capital of “Salentoshire” that is Lecce, San Cataldo is what would the navy of Lecce, named after the church, by renting a sailboat or yacht from the local marina you sail south to 15 km in the direction of Torre Bear and its bay that has a very clear sea by the currents of the Strait of Otranto. Thanks to this feature in summer the place is frequented by many tourists and has been repeatedly awarded the European Blue Flag for cleanliness and transparency of the sea. In the bay to the south are clearly visible 2 stacks calls “the two sisters”. In this bay have gone great historical figures such as the Emperor Augustus and the poet Virgil as recent studies have found that the bay in the past the port of ancient temple town of Roca, and was one of the key stopover sailors who came or went on the other side Adriatic because at that time as well as today is the shortest route (about 80 km) that sailors can make the crossing between Italy and Albania. Wineskin this beautiful area 15 km to the south, always on the coast there is the city or the city of Otranto and the geographic point (Punta Palascia) to the east of the Italian peninsula by giving the name of the Otranto Channel that separates for a few dozen Italy km from the Albanian coast and the Greek islands, which has made a port bridge between West and East. To admire both at sea and once ashore, the beautiful cathedral dedicated to Santa Maria Annunziata with inside the monumental mosaic floor called The Tree of Life, which is the largest in Europe and in the relics of the saints Otranto martyrs killed by the Turkish armed with the siege of 1480, then the largest Aragonese castle with its long and high walls still wonderfully intact, since Otranto is part of the club: The most beautiful villages in Italy. In the far east of Salento, is situated the city of Santa Cesaria Terme, characterized and famous for its hot springs, and the hot springs of sulphurous water-salt-bromoiodiche that flow at a temperature of 30 ° in four caves called Gattulla, Solfurea , Fetida and Solfatara. For its crystal clear waters of its beaches and coastal high and particularly in the area of Porto Miggiano that you can enjoy sailing boat along the many coastal towers sighting of Salento, built over the centuries to defend themselves from the Ottoman invasion. 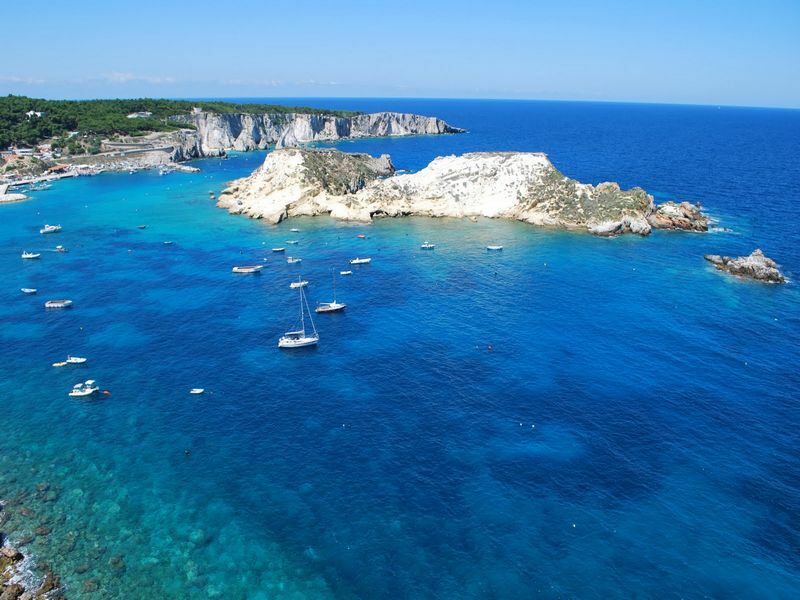 Also nearby is the village of Castro Marina, which is located somewhere on the coast of Salento rich in natural caves, such as the famous Zinzulusa cave that you can visit by boat trip by sea. Last beautiful towns to visit in the area, at the extreme southern edge of the Salento peninsula is the village of Santa Maria di Leuca, places where it says would be the first landing of Aeneas. Later it would be landed here St. Peter, who arrived from Palestine, he began his work of evangelization, and then on to Rome. In this splendid marine life particularly sizzling summer you can enjoy the famous and large lighthouse, the beautiful buildings and nineteenth century villas and finally the spectacular landscape of his famous clear sea and natural caves in the west and east such as the Devil’s Cave. 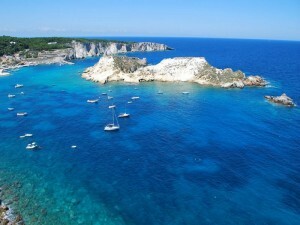 Other popular excursions and countries to visit the inland coast of the Salento peninsula to the west that can be done by hiring a sailing boat or motor boat are Ugento, beautiful beaches in the resort of Gemini and Torre San Giovanni, the marinas of Torre Mozza and Lido Marini and Fontanelle. The coastline of about 12 km is mostly low and sandy, with rocks only a few short sections allows to fully explore its beautiful and unspoiled coast. Going up the west coast of Salento then you come to the Pearl of the Ionian Sea or the city of Gallipoli, the destination and the temple of marine summer holidays in Puglia thanks to the fabulous summer weather for months that pervades the entire area of the sea and of the many musical happenings and cultural festivals every summer. Starting from the great bay of its beautiful marina of the city, which is stretched out over the Ionian Sea, is divided into two parts: the village and the old town. 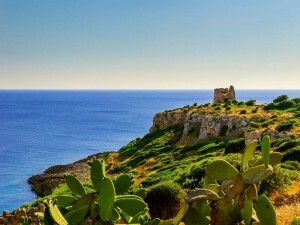 Of great historical and naturalistic importance is possible to visit the Island of Sant’Andrea in front as well as its historical center from the many Baroque churches built with the local Lecce stone, and also admire its ancient fortification walls and its great Aragonese castle. Going still may be reached in the charming seaside resort of Porto Cesareo where between a dip in the crystal clear waters of Punta Prosciutto and a vision of many different coastal lookout towers embattled enemies such as Torre (tower) Cesarea, Torre Lapillo, Torre Chianca and Torre Castiglione you can admire one of the most beautiful natural corners of Puglia. In the north of the long Puglia in the province of Foggia, at the foot of the Gargano promontory and its namesake National Park, there is the famous town of Vieste called the “Pearl” of Gargano whose core of the old town perches on a small rocky promontory where you can see its ancient castle that dominates the landscape and make this village among the most fascinating of Italy. Beautiful to see renting a boat is its beaches such as those south of Pizzomunno, its caves eroded over the millennia by the sea and wind, the stacks towards the town of Pugnochiuso and morning and the rugged coastline of the slopes of the Gargano that reaches the sea, creating a natural spectacle of uncommon beauty. A few kilometers further north always on the Gargano coast you come to the town of Peschici, whose long coastline is characterized by numerous bays and coves, with beaches whose grain size is extremely fine, sometimes mixed with gravel. Despite the rock formations and lush vegetation of the Parco Del Gargano, that cover and surround the town, are all more or less easily accessible. In the immediate vicinity penetrating easily land you can enjoy the natural beauty of the Umbra Forest heart and naturalistic fulcrum of landscaping of the park. Beyond the town of Peschici, circumnavigating the marine Gargano promontory, you arrive in the critically seaside town of Rodi, which is a known center for the production of Gargano citrus fruits such as oranges and lemons Femminello, known since the Middle Ages. A popular seaside resort with beaches for more than 12 km and for the quality of its bathing water has been repeatedly awarded the Blue Flag. It ‘a baseline to leave for the famous Tremiti Islands archipelago separated only 20 nautical miles ( about 37 kilometers) across the Adriatic to the north-east. These islands are an integral part of the Gargano National Park. 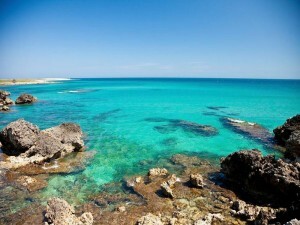 A portion of its territory is the Marine Nature Reserve of the Tremiti Islands became over the years one of the most important tourist centers of the Apulia. The archipelago waters and beautiful marine bays and rightly protected are: San Nicola, the town hall, where are the main monuments of the archipelago, San Domino, the largest and most populated, which have settled on the main tourist facilities thanks the presence of the only sandy beach of the whole archipelago (Cala delle Arene). Capraia second largest island is uninhabited, and finally the island of Pianosa, a rocky plateau which is also completely uninhabited and distant about twenty miles from the group of the other three islands. Have been for many years the buen withdrawal of the famous singer Lucio Dalla.